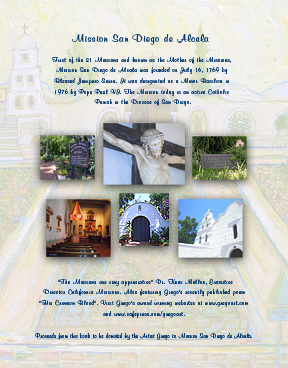 This Mission San Diego de Alcala short story is a true story reminder about how California’s very first Catholic Mission came to be. It has been dedicated to the tenacious Explorers and Padres who bravely came from Mexico or New Spain in 1769 to conquer untamed new territory and spread Christianity northward. It is a wonderful short story to share with family and friends, and it also works as a story to read to your children as well. You may or may not have noticed it as a San Diego resident, or even knew that it existed on your last trip here to America’s finest city. Nevertheless, everywhere you look almost everything around us seems to pay homage to our rich Spanish ancestry. Little do most of us realize, that just several hundred years ago, most of this barren land of California was once owned by the empire of Spain who claimed Mexico as their own New Spain? If you are a bit of a history buff like me, you will be amazed to find out that located right here in the heart of San Diego, is one of the most historically significant places to visit that I recommend. Originally built with funding from Spain in 1769, this sacred place is a must see sanctuary where you can actually feel what history was like living back then. It is a place where time seems to stand still and God's sentient fills your forever-searching soul, a place where Christianity bravely washed ashore centuries ago on Native American Indian land, during uncertain times. The Bell tower antique bells from California’s first Church, the Mission Basilica San Diego de Alcala continue to toll in the hopes that you will hear what they have to say this year. 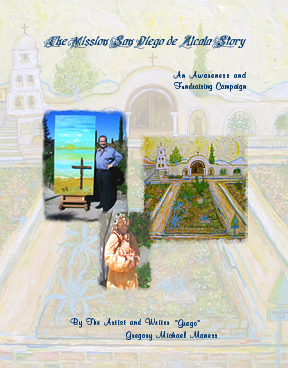 In turn, I would like to share with you the wonderful story of how this famous Mission came to be. San Diego is very fortunate to be the home of California’s very first Mission of the original 21 built centuries ago. We are blessed to have her here, and I am honored to share her story with you.